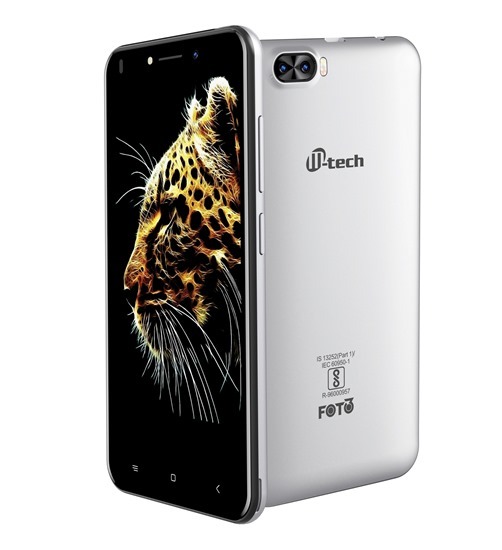 M-Tech Foto 3 has a 5-inch FVWGA display powered by 1.3GHz quad-core processor with 1GB of RAM and 8GB of internal storage which is further expandable with MicroSD card up to 32GB. On Camera it has a Dual Rear 0.3-Megapixel Camera with LED flash. For selfies and video calling, there is a 0.3-megapixel camera. The device runs on Android 7.0 Nougat out of the box.Packed with a 2,400mAh battery. M-Tech Foto 3 comes in black, white, and gold color priced at Rs 4,499 available at 20,000 retail points as well as leading online stores. Redmi 5A and 10 or D are a much better option at this price.